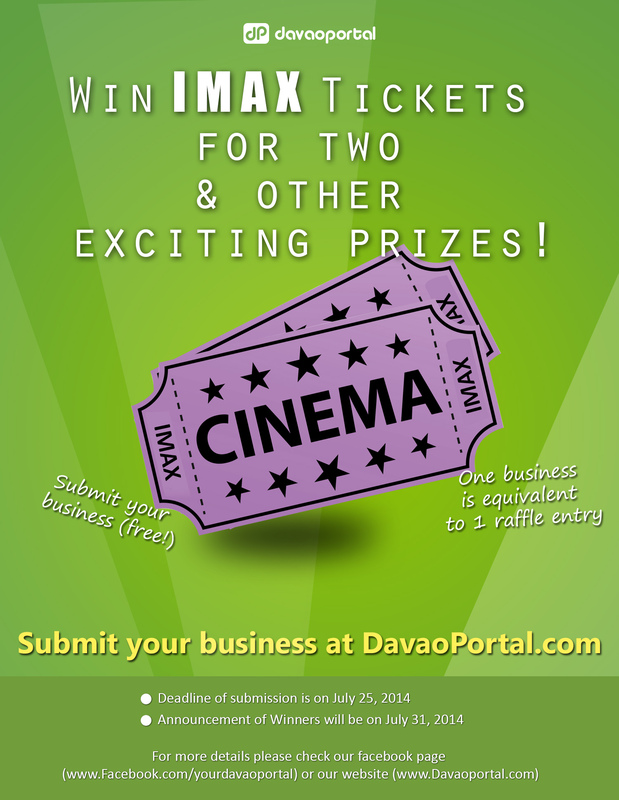 Note: A DavaoPortal representative will contact all winners via email – sending instructions on how you can claim your prizes. Thanks to all who participated in the first-ever DavaoPortal Raffle Promo! 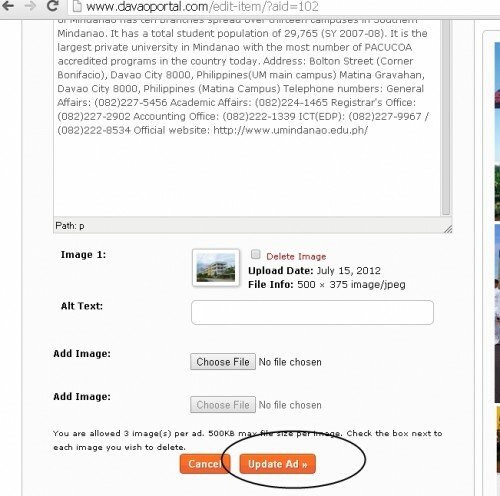 Step 3: Below is the edit list page where you can update your business info with additional content; just click the ‘Update Ad’ button to save the newly-updated listing. And that’s it! Just refresh the page and check-out your newly-published business information. 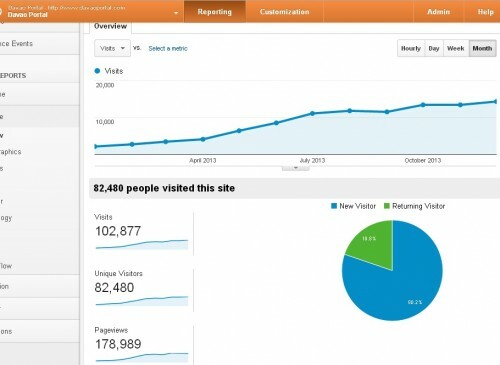 In 2013, Davao Portal generated 178,989 total pageviews from 102,877 total number of visits, where 82,480 of these visits were unique (from different individuals). 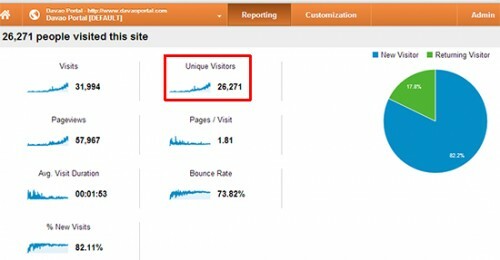 For a newly-established website such as the DP, having these figures is quite an achievement for us, considering that we were able to achieve it a short span of time (DP is 1 year and 5 months old – as of this posting). 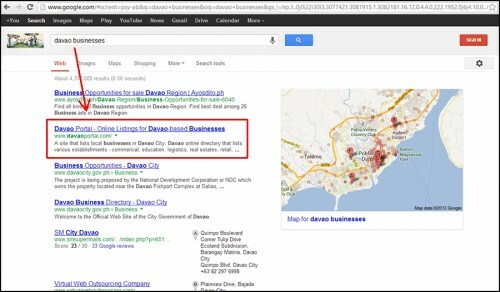 And the team here is optimistic that the website’s traffic will continue to rise in the coming years; and, ultimately, will be able to help even a bigger number of Davao-based/local businesses in connecting/reaching potential customers and business prospects, as well as in providing business information/details to people who need them. Early this month, we announced over our social media accounts that we wanted to share with you the information about which particular listings (listing means submitted business profile on DP) were the top performers in 2013 based on the total number of page views and visits. 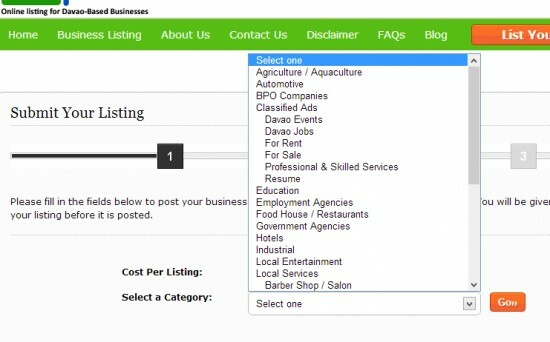 Each business submitted to Davao Portal has its own unique page dedicated to it; so, it is pretty easy to sort and analyze the numbers. 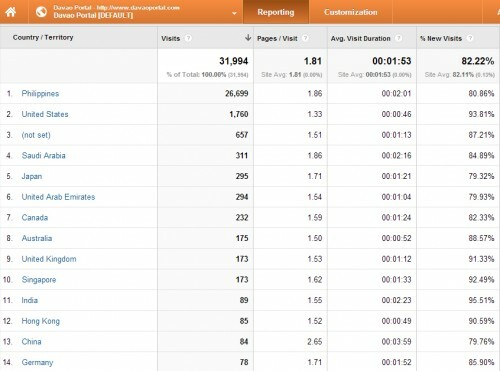 Specifically, we have listed here the top 12; we pulled our data from one of website performance tools we have been using – Google Analytics. 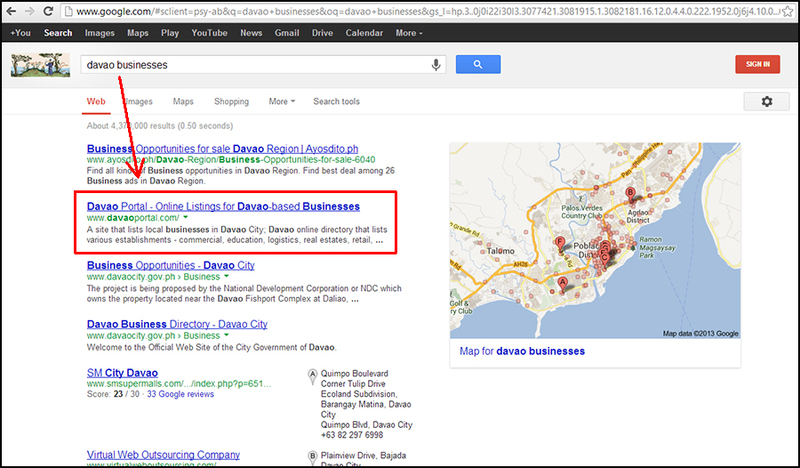 So, here they are: Davao Portal top performing local businesses in 2013. 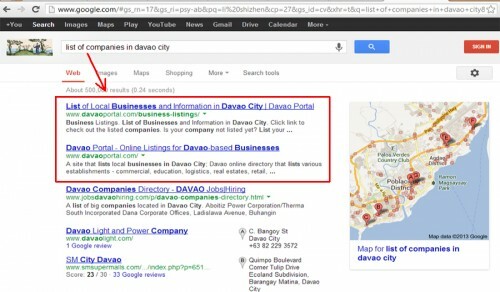 You might have thought that submitting your business profile here on Davao Portal is a complex process and could take a big chunk of your time. Fortunately, not really. 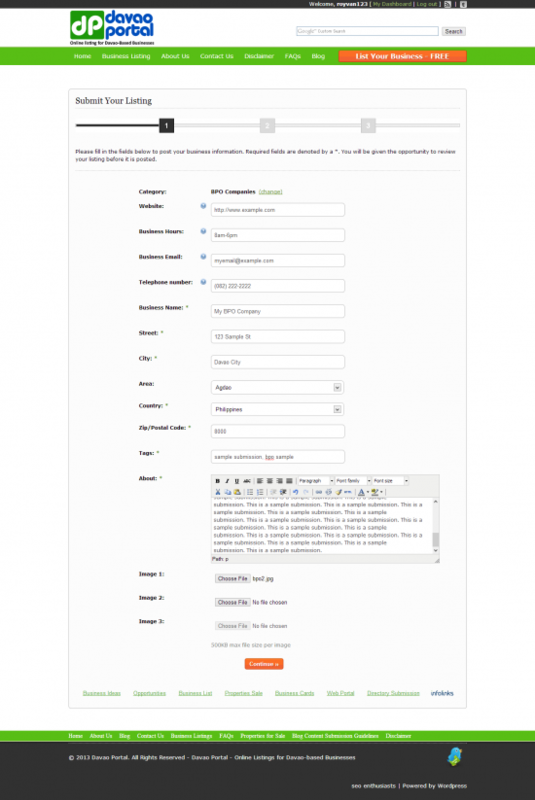 It could just take less than 10 minutes – from the registration down to business submission – provided all the business details you want to publish is readily available. 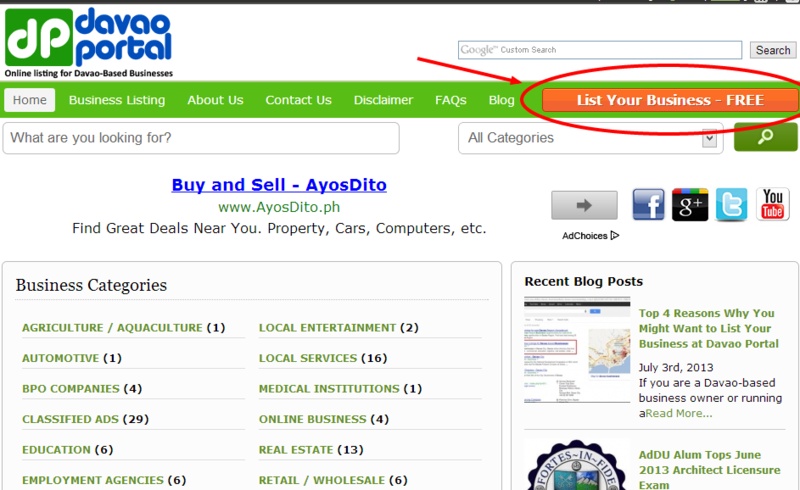 Step 1: You can see an orange button labeled “List Your Business – FREE” right at the menu section of the site; this is visible on any page you browse. Click on that button to begin with your business submission. Step 3: After clicking ‘Register,’ you will be directed to the registration page where you need to provide the required account details. 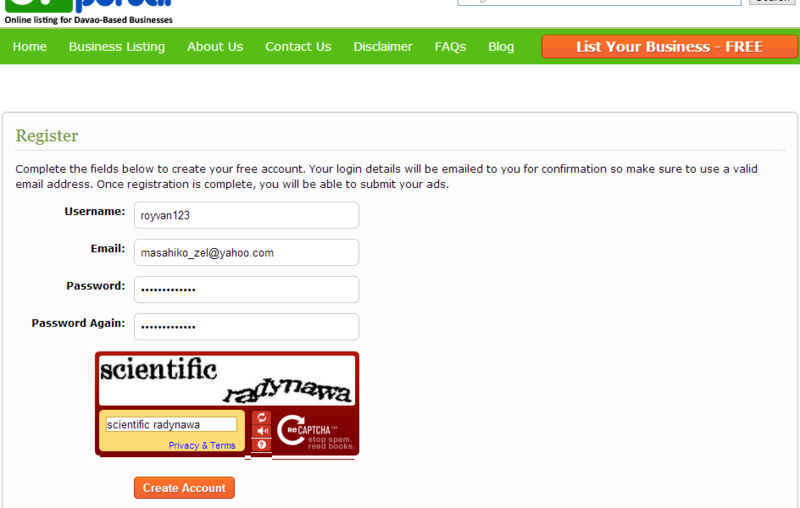 Then, just type the captcha code (in red below) and then click on ‘Create Account’ to submit. 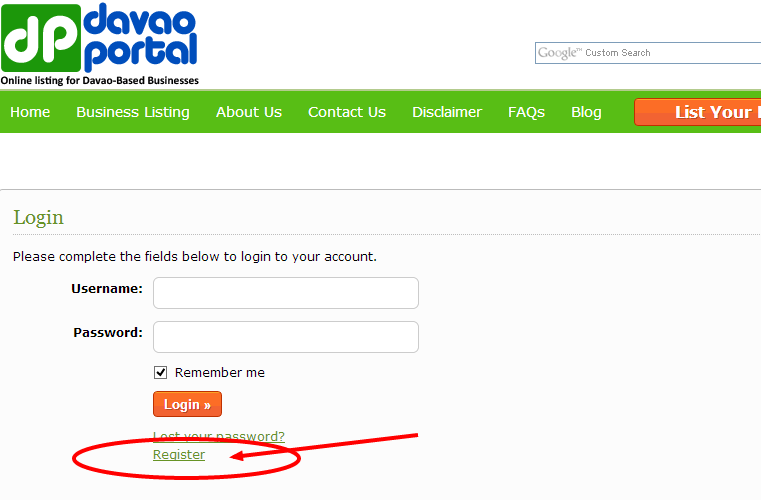 Step 4: Once your account details have been submitted successfully – meaning you have successfully created your own account – you will see the page where the business submission begins (see image below). On this page, you will just need to select a category for your submission and click ‘Go’ to continue. Step 5: After selecting a category, you will be brought to the business details form, where you will need to provide all your necessary business information. Please note that the more business details you provide, the better – prospective clients, as we know it, are usually persuaded when the information is detailed. When done filling-up the form, just click ‘Continue’. 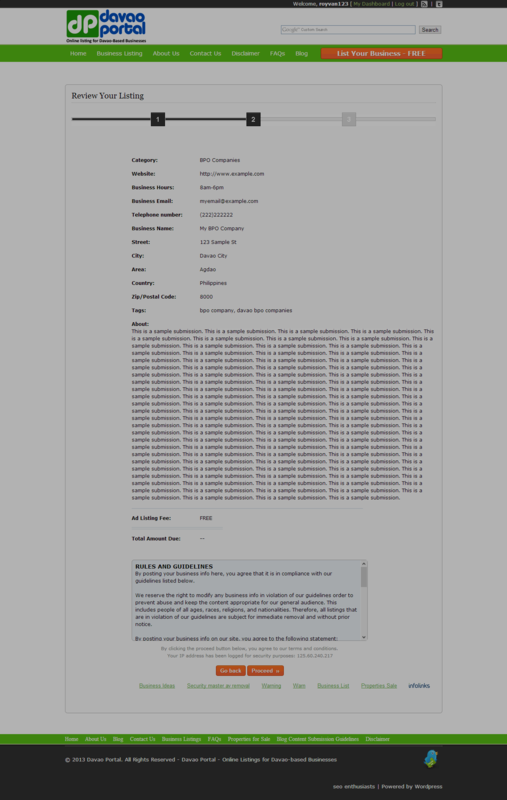 Step 6: You will then be directed to a preview page for you to check your submission – e.g. for errors, typo, etc. If you think there is still something that needs to be edited, just click the ‘Go Back’ button; else, click ‘Proceed’ to continue. Step 7: Lastly, when you are done with Step 6, you will be prompted with a message telling that the business you have submitted has been received and all you need to do now is to wait for that listing becomes live – after review by the Davao Portal Team. 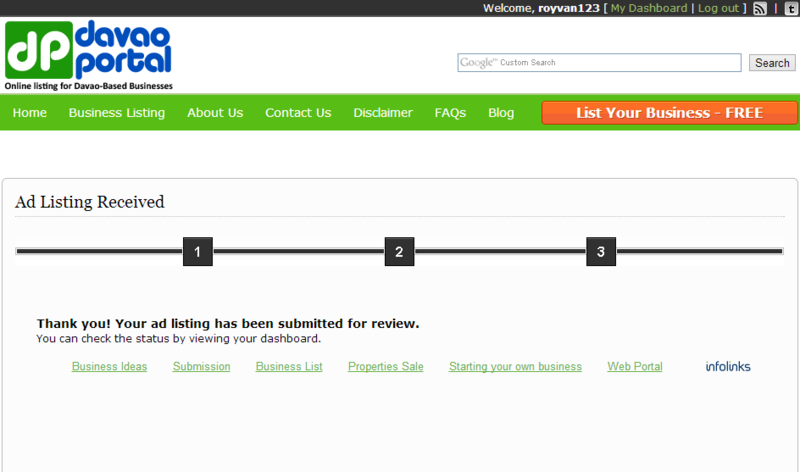 Note: You will be notified via email once your listing has been posted live. 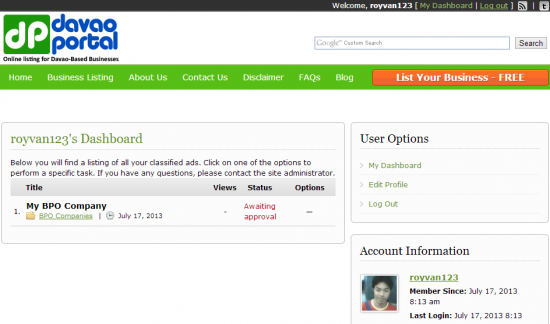 You can also see your live submission by logging in to your account. Just check your dashboard – similar to what is being shown below.